Pineapples are a welcome symbol, and have been since colonial times. Back in colonial times, they were so rare that people would rent them out as a decoration for parties, rather than buying them to eat. 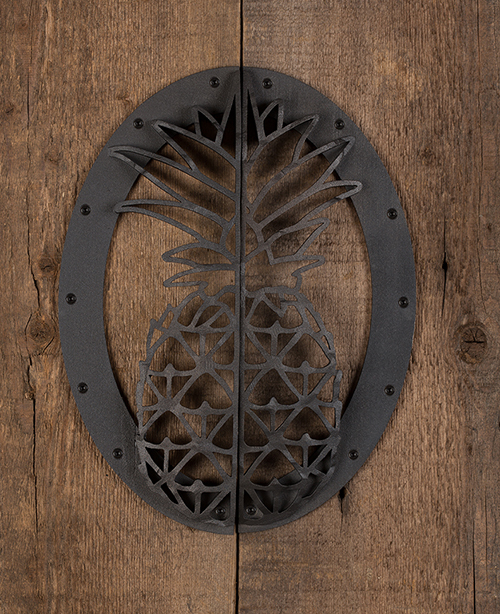 This is why Heather wanted custom pineapple door pulls for her new barn doors. In order to bring Heather’s vision for her barn doors to a reality, we created a plastic prototype and tested out the size of the pineapple door pull, which was 10”. It looked just right, so we continued with the production. 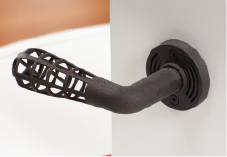 We used a metal 3-D printer to make the final custom door handles out of black steel. We also constructed a rim around the pineapple for the warm and welcoming aesthetic effect. Then we countersunk black screws into the rim, to attach the pineapple door handle to the barn door. 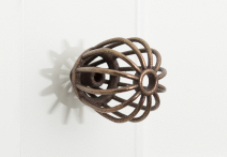 The screws also give the rim of the pineapple door pull a decorated, horseshoe-style appearance. 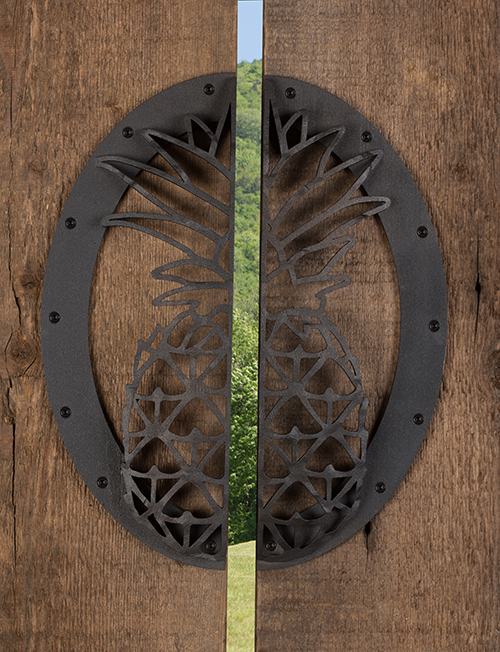 The intricacy of this pineapple door hardware can only be achieved through metal 3-D printing. When the doors open, you can see both sides of the pineapple door pull separately, and when they close, you can see the complete pineapple door handle. 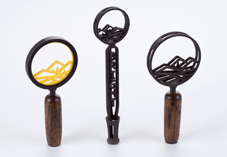 Heather’s barn is now even more homey than a typical barn, and all her guests feel welcomed by the unique touch of the one of a kind pineapple door pull.